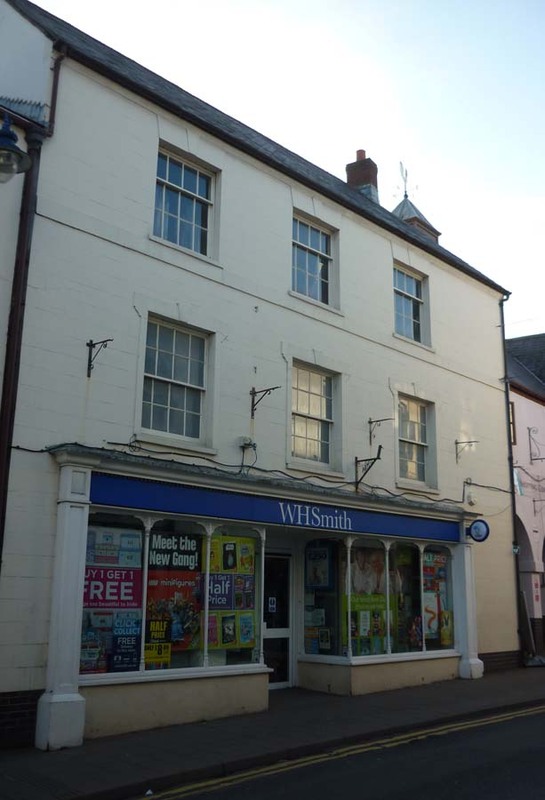 Listed Building Grade II in 1984: originally 17th century, refronted early 19th century. Tall 3 storey frontage with centre and right hand pilasters incised coursing and plain band to stucco on left, pebble dash to right. Slate roof, boxed out eaves, brick stack to left gable which is slate hung, rubble and brick to right gable end. Three windows, double hung sashes with glazing bars, windows to first floor with decorative margins and key blocks. Overall modern fascia to spearate shop fronts, 19th century double fronted shop with slender columnettes to left. Twin storey gabled ranges at the rear with cemented walls and upper casement windows. W Wing has roof timbers with “wern hir” stops (Fox & Raglan). Remains of stone tiles under present slated roofs. There was an old cobbled yard at the rear and the outbuildings, including a granary had been demolished. 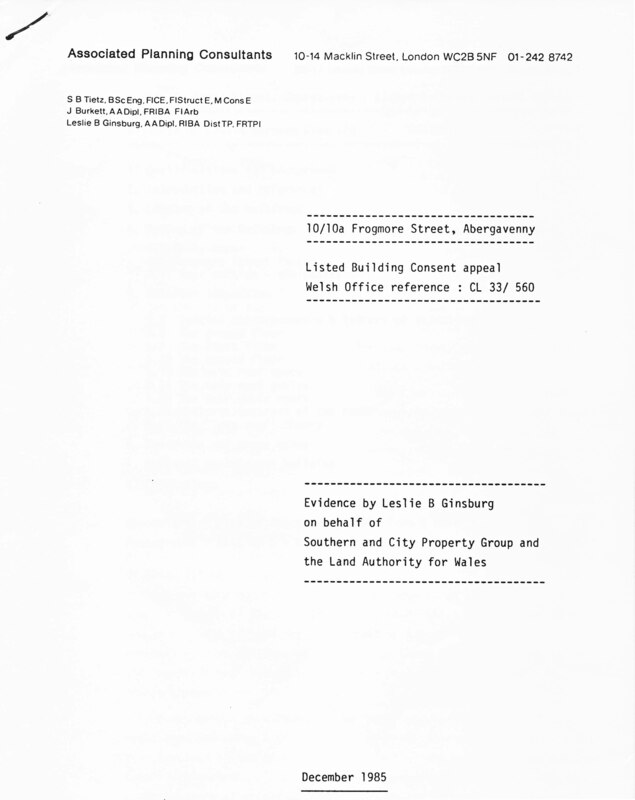 There was an appeal against the listing by Associated Planning Consultants 10-14 Macklin Street London WC2B 5NF: Welsh Office ref CL 33/560. 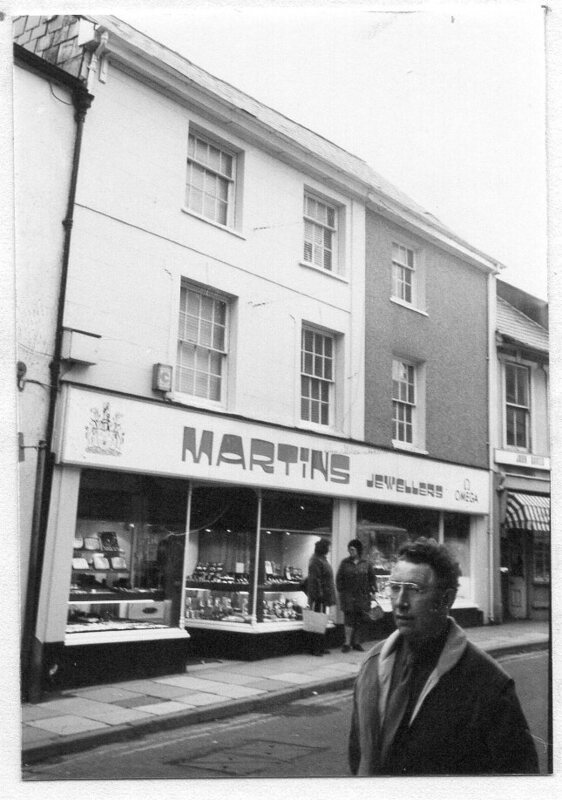 1971 – 1980: Martins the jewellers. new shop opened in October 1971. In 1978, they were celebrating 50 years in business. 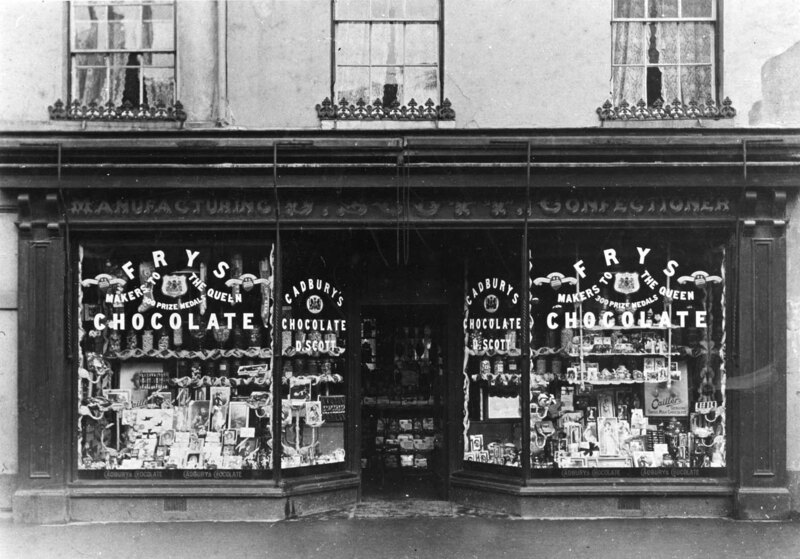 The Martin family of Martins the jewellers, played leading roles in the production of amateur drama and musical productions in Abergavenny after the Second World War. An old Derringer pistol was found during the demolition of the granary at the rear. Two match boxes marked “Royal Welsh Matches” – The Crown Match Works, Cardiff.